A group of Quebec universities and non-profit organizations are teaming up to look at the impact of flooding in the province, and how the natural phenomenon could be better managed. Quebec has a lot of water, and with it comes the risk of flooding — something an increasing number of residents have become all too familiar with in recent years. In the spring of 2017, hundreds of homes in Montreal's West Island were damaged by high waters. 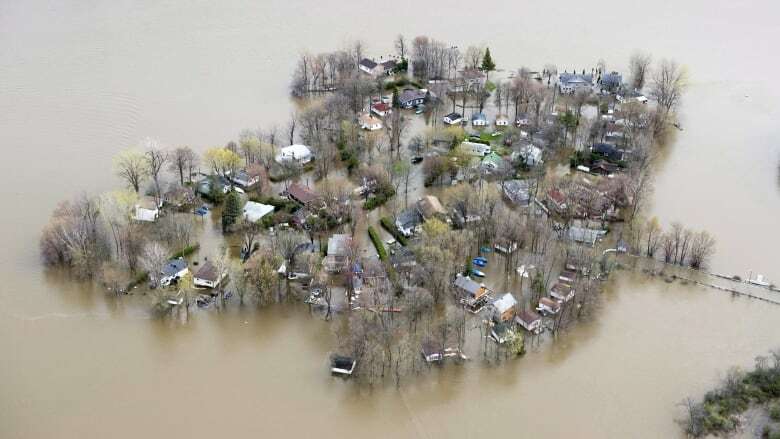 Just two weeks ago, Drummondville, Que., issued a flood warning that, though it didn't amount to a major disaster, sparked concern for those living along the Saint-François River. Experts say the problem is only going to get worse as climate change continues to take its toll. Now, a new group will bring together 16 universities and some 120 researchers — people that are working on improving flood maps and strategies while ensuring that information is more accessible to the public. The new group is called Réseau Inondations intersectoriel du Québec or the inter-sectoral flood research network. It has funding from the Quebec Research Fund. 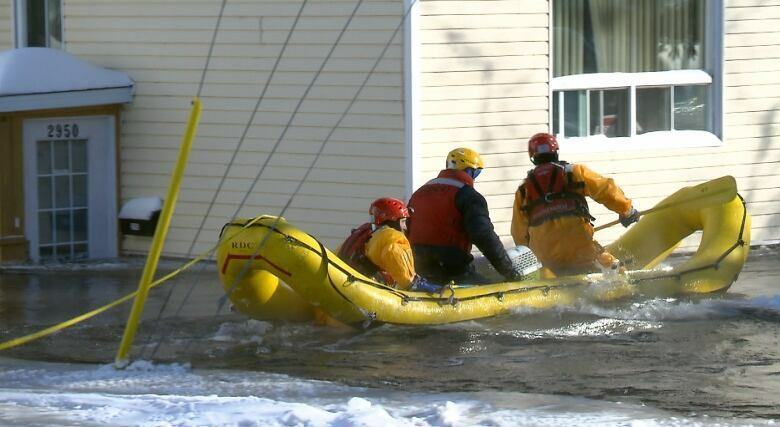 "About 80 per cent of Quebec municipalities have to deal with floods," Suzanne King told CBC Montreal's Daybreak. She is a psychiatry professor at McGill University and one of the group's lead investigators. "And, as we saw in 2017 especially, the response is not always adequate," she said. "Neither is the prevention and preparation before flooding happens." Similar networks exist in Europe and other areas, she said, but Quebec doesn't have anything like it yet. "It's not enough that the scientists in an ivory tower know the best way to proceed or what is the best technology," she said. "We've got to get that knowledge to the people who need it." About half of people living in Quebec's flood zones aren't aware of it or they brush aside the risk, she said, and "even municipalities are not planning for the changes that are happening with climate change." The goal of the new network, she said, is to bring experts, pool their knowledge and then create some kind of a tool such as website that people can go to "create a more resilient Quebec." Water damage is the obvious result of flooding, but there is also the risk of contamination as sewers overflow and garages full of chemicals are flooded, she said. Natural disasters can even affect pregnant mothers and their unborn babies, King said, and her particular area of interest is looking at that impact. The group will be examining these issues — looking at the emotional toll and the impact on the economy while studying public policy, insurance battles and more, she said. "What this network is going to do is bring everybody together to figure out what is the best practice for dealing with floods," she said. In the spring of 2018, the provincial government decreed that every municipality in Quebec has two years to establish an emergency plan to deal with disasters. The government promised to provide funding to assist the municipalities in preparing their plans.